Pick up your wings – it’s time to visit Spain! A fantastic country filled with joy, warm people, amazing food, perfect hospitality and many cities to visit. 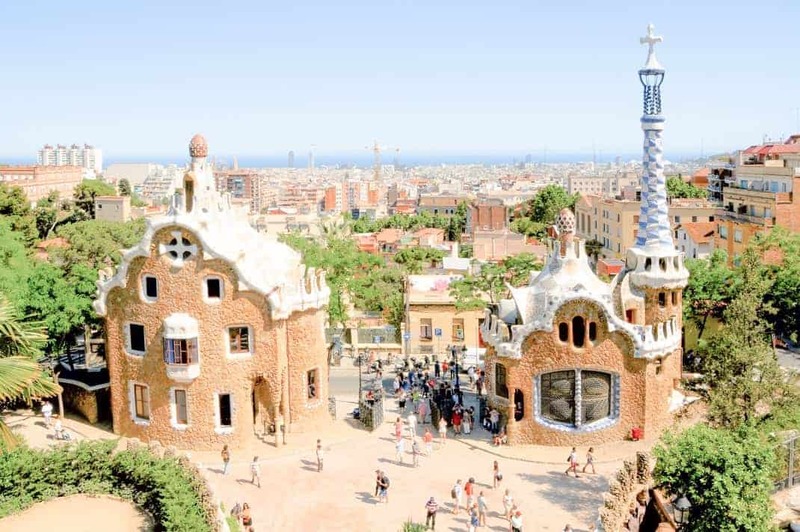 So if you couldn’t decide which place to go to Spain – make a huge trip to Spain and try to visit your chosen cities as well. However this trip might be a bit costly for you, therefore you have to think about your expenses but most important you have to figure out where to stay. Luckily, we have guessed that you would be looking for a budget friendly trip to Spain and prepared a guide of best cheap hostels in Spain! One of the most challenging parts of traveling is to find where you will be staying. After all, it might be the most expensive part of your trip along with your transportation costs. However, there are still places that you can enjoy your time in Spain without throwing your money around – the hostels. Hostels are known for being a cheaper option of accommodation but sometimes they can be disappointing too – in terms of service, hospitality and social environment. You don’t need to worry about that because we have found the best cheap hostels in Spain for you. While you are moving around Spain, you can still enjoy a quality accommodation, good service, international staff as well! These hostels are not only cheap but offer you the best quality for the money you will be paying! The Hat is proud to be first of the boutique style hostels in Madrid. It is located quite centrally both for transportation and also for touristic areas. They have both mixed and also gender-based dorms along with private en-suite rooms just pick one according to your preference. There is always some tapas and sangria in the late afternoon for the guests. The ambiance is always very sociable and friendly; the staff is not like a working-person but rather like a friend of yours from town helping you to stay at their home. Such a lovely place to spend your days in Madrid! Home Youth is a place where you can never forget. The location is absolutely perfect for a traveler. It is at the very center of the city in Barrio del Carmen. Plus, right next to the hostel, you have the main tourist attractions of the city: Central Market and Silk Market. You can opt for a small size dorm room or a private room here. The design at the common rooms, reception, and the halls continue towards the room, you will see art-deco style furniture and wall paintings in each room. Every room has a unique wall painting! Unlike other hostels, Home Youth in Valencia doesn’t have any bunk beds – what! The staff organizes free dinners to create a sociable environment for their guests as well. Generator is a well-known hostel chain which is famous for experience and design focused them in its hostels. It is no different in Barcelona as well. Just by entering the hostel, you will understand that this place is more than you expect it to be. The room options are quite wide here; you can opt for dorms up until eight people but also can book a penthouse with a group of friends. Right next to the hostel there is a grocery store open 24 hours. The common areas are raved a lot by travelers as well. A small taqueria is across the hotels – which are one of the hostel’s establishments- you have some nibbles there with 1-liter beer only for 6€. Sungate One is quite a popular place in Madrid. Well maybe not only in Madrid, as it is selected as the best hostel in Spain and also the best-located hostel in Europe. Is there more to say? The staff might be the most smiley staff you can see in a hostel. They are super attentive and always look for the best for the guests. During breakfast, there are some churros – a type of Spanish sweet, also coffee and tea. All of them are complementary. In addition to this, there is always a free dinner and drink time for the guest around 21 PM, every day. There are also many events and tours organized by the staff for you – make sure you keep up with the schedule. @sungatehostel common area designed by @hostelcoach. A fantastic hostel in the centre of Madrid! La Banda is hostel based on music and arts. The hostel is managed by a group of four – two brothers and two of their friends from the UK. La Banda is very proud to create a circle of friendship among their guest. What they aim is to enlarge their social circle, learn more about new cultures and don’t forget to seize the day! You get an access to almost everything in the hostel – it is more like a home! The rooftop is the main place where important events take place especially musical ones. There is a family dinner served on the rooftop every day at 21 PM, more like a small open buffet and only costs 6€. If you are looking for less crowded and more elegant looking places – more like a hotel but still budget-friendly enough as a hostel: Casa Kessler is a perfect option for you. Casa Kessler doesn’t only serve as a hostel actually; the establishment has 2 double superior rooms, 2 junior suites, 1 separate luxury flat and 6 shared bedrooms. The hostel is located in Eixample area which is actually a quite central area around Barcelona. It takes only about 10 minutes to walk Plaça Calatunya from the hostel. You would love your stay in Casa Kessler if you are looking for a home-like comfort. Toc Hostel is located at the center of Madrid, so literally, everything is very close to the hostel itself. The popularity of Toc Hostel comes from the combination of different art movements. For instance, you can see a ceiling plafond with a painting on but also quirky writings and Andy Warhol style decorations around. Also, there are no room keys here; you use your fingerprint to enter your room! Even though breakfast is not included with the room rate, it is only for 6€ and unlimited – and has the perfect quality-price ratio. The whole place is decorated super hip and artsy – you’ll even love the beds here! One Catedral is situated in the Santa Cruz area and it is walking distance to the cathedral itself, Alcazar and also to the Giralda Tower. The vibrant tiles around the hostel will mesmerize you as you will find a different pattern in each room. The tiles are pretty characteristic in this hostel. One Catedral is also a social hostel – there is a blackboard downstairs where you can see the daily schedule of the whole hostel. There are a lot of complementary activities and foods here. First, you’ll be served a morning snack like coffee, biscuits, fruits and then head to free walking tour organized by the hostel. One of the specialties of family dinner concept continues here as well, free dinner will be served at 10 PM and after the dinner, you can join the bar-hopping tour with other travelers and some locals!